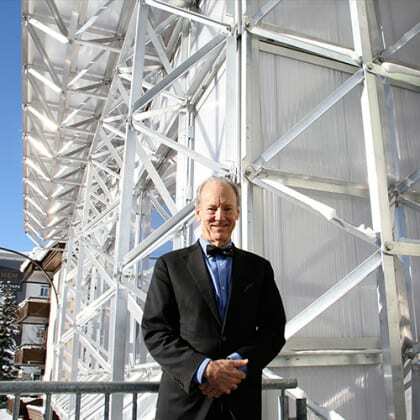 William McDonough is an architect and globally recognized leader in sustainable development. He served as the inaugural chair of the World Economic Forum's Meta-Council on the Circular Economy. William McDonough’s interests, activities, and influence range widely, as he works at scales from the global to the molecular. Click here to read William McDonough’s Biography. The Upcycle: Beyond Sustainability—Designing for Abundance is the eagerly awaited follow-up to Cradle to Cradle: Remaking the Way We Make Things, the 2002 book that is widely acknowledged as a seminal text of the sustainability movement. Published in 2002, Cradle to Cradle is widely acknowledged a one of the most important environmental manifestos of our time. Prepared in 1992 by William McDonough Architects and Dr. Michael Braungart; commissioned by the City of Hannover, Germany, as design principles for Expo 2000, The World’s Fair. Newsweek asked William McDonough and Coert Zachariasse to discuss their Park 20|20 project, and why it might be seen as a model for similar environmental design all over the world. Imagine a world in which all the things we make, use, and consume provide nutrition for nature and industry—a world in which growth is good and human activity generates a delightful, restorative ecological footprint. The reopening of the Ford River Rouge plant as the Ford Rouge Center, and its availability for public tours, represents more than just the rebirth of a cultural opportunity in Detroit; it hearkens a sea change in the future of manufacturing in America, and indeed, throughout the world. Design is the fundamental shaping of the human world, an essential aspect of culture. 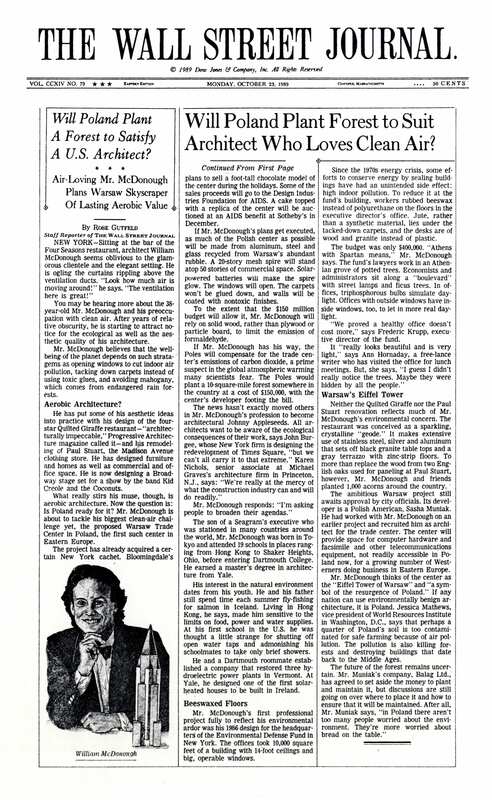 William McDonough's foreward to the book by Bob Doppelt. 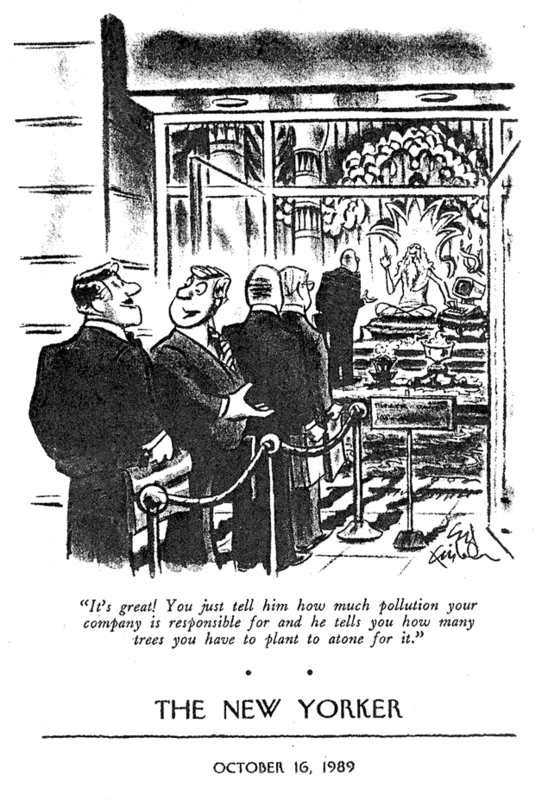 As more and more evidence suggests that the traditional ways of doing business may not be sustainable over the long term, many of today’s leading industrialists are practicing a curious maneuver; they are trying to put the brakes on without taking their foot off the accelerator. It’s a question with transformative power. Used as a tool to drive design it can generate a dynamic field of economic inquiry and a new direction for business. 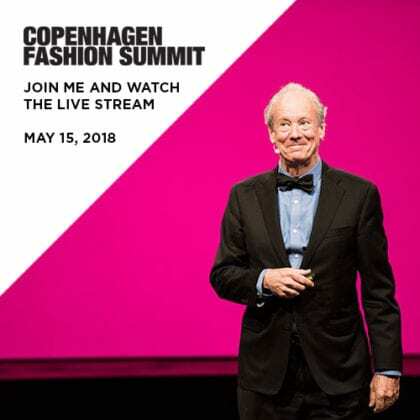 William McDonough, recently returned from Davos and presented The Creation of the Perception of Scarcity Where Nothing Exists – the latest findings on the size of current financial markets related to global GDP and the potential of The Circular Economy. William McDonough is honored with the 2017 Hanley Award for Vision and Leadership in Sustainability during the annual HIVE conference. 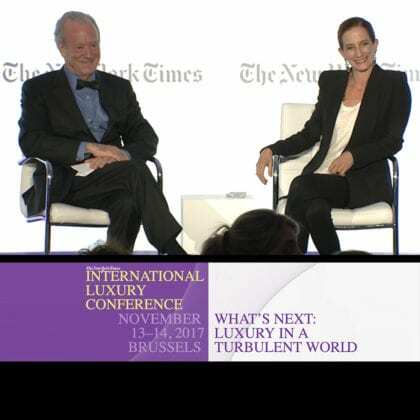 Presentation by William McDonough, C.E.O., McDonough Innovation and Co-Author, "Cradle to Cradle," at The New York Times's International Luxury Conference, followed by a conversation with Vanessa Friedman, Fashion Director and Chief Fashion Critic. McDonough & Braungart received the 2017 David Gottfried Award for their unique approach to a business-led green building strategy. William McDonough's first carpet tile design collection with Shaw is re-released in new colors and sizes. William McDonough delivers a keynote speech: "In Search of More Good How and Why 'Getting the Frame Right' is Essential in Design" at Sustainable Brands 2017 in Detroit. 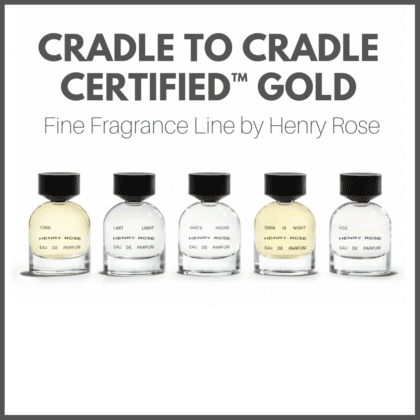 C&A, one of Europe’s leading fashion retailers, debuted the first Cradle to Cradle Certified™ GOLD T-shirts, marking an achievement level not seen before for a fashion garment. The nine-month development began in 2016 where MBDC served as assessor for the Cradle to Cradle Certified Products Program to help C&A, Fashion for Good, and McDonough Innovation achieve their goal of supporting two India-based garment manufacturers—Cotton Blossom and Pratibha Syntex—to develop and produce two Cradle to Cradle Certified T-shirts. With offices in 20 countries, Plantronics, the pioneer of lightweight headsets, selected Park 20|20 and William McDonough + Partners for their new European Office in The Netherlands. 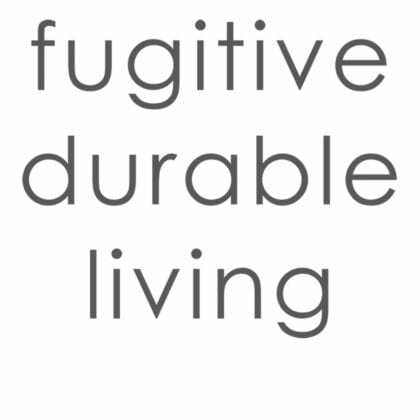 William McDonough announces The Five Goods, inspired by Cradle to Cradle®. At the 2017 World Economic Forum Annual Meeting in Davos, McDonough's iconic ICEhouse™ (Innovation for the Circular Economy House) returned as a meeting place for a second year in a row. ICEhouse offers a curiosity to visitors to Davos of the opportunities of WonderFrame™, McDonough's broader vision for a simple, flexible, and affordable floor and roof structural system that can be erected quickly with the simplest of tools. The ICEhouse was commissioned by Hub Culture and supported by SABIC. This special Davos edition is made of technical materials (durable polymers, aluminum and aerogel) which will be returned to industry at the end of their use cycle. These durable elements can be endlessly used and reused in new products across generations. William McDonough received the 2017 Fortune Award for Circular Economy Leadership at the World Economic Forum in Davos, Switzerland. The award recognizes leaders who have made an outstanding contribution to the development of a prosperous and sustainable economy. In recognizing McDonough, the committee singled out his lifetime of visionary work, furthering innovation in design – both in theory and in practice. During the COP22 events in Marrakech, William McDonough gives a speech called "The New Language of Carbon" and Nature magazine publishes his essay titled "Carbon is not the enemy". 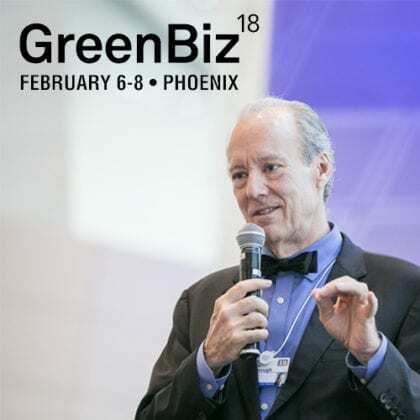 William McDonough delivered a Keynote address at SXSW Eco in Austin, Texas, in which for the first time he presented a new concept called the Carbon Positive City. William McDonough receives the 2016 USGBC Leadership Award from the US Green Building Council during the 2016 Greenbuild Conference and Expo. The Leadership Awards recognize outstanding individuals and organizations that embody vision, leadership and commitment to the evolution of green buildings and communities as a vehicle to enhance our quality of life. The ‪ICEhouse™ (ICE = Innovation for the Circular Economy) was‪ reassembled at the ‪Circular EXPO at The Valley, the Netherlands’ national hotspot for the ‪circular economy. The reusable building was first assembled in Davos in January 2016 for the World Economic Forum’s Annual Meeting, where William McDonough is the Chair of the Meta-Council for the Circular Economy. Hero MotoCorp, the world’s largest manufacturer of two-wheeled vehicles, celebrated the opening of its new research and development campus in Jaipur, India, designed by William McDonough + Partners. 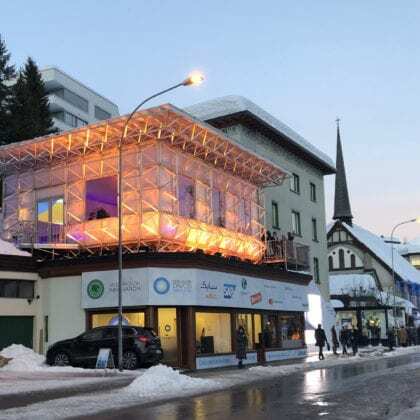 William McDonough + Partners and McDonough Innovation showcased a new structure in Davos in conjunction with the 2016 World Economic Forum annual meeting. ICEhouse™ (Innovation for the Circular Economy house) was designed to demonstrate the positive design framework described in Cradle to Cradle: Remaking the Way We Make Things, the sustainable development goals of the United Nations, and the reuse of resources implicit in the circular economy. William McDonough received the J.N. “Ding” Darling Conservation Award from The National Wildlife Federation (NWF). Designed by William McDonough + Partners, the facility is the first LEED Platinum manufacturing facility in the cleaning product sector, and features the world's largest roof greenhouse. William McDonough announced a new design effort at Global Citizen 2015 Earth Day, the 45th anniversary of Earth Day, held at the Washington Monument Grounds on the National Mall. William McDonough + Partners, Stantec (formerly Anshen + Allen), and Arup recently collaborated on the new UCSF Medical Center complex at Mission Bay—the first hospital built from the ground up in San Francisco in several decades. Hero MotoCorp's Garden Factory, designed by William McDonough + Partners, opens in Neemrana, India. William McDonough delivers a key speech, “Resource Abundance by Design,” at the eighth Annual Meeting of the New Champions, convened by the World Economic Forum in Tianjin, China. McDonough speaks at the World Economic Forum about the circular economy and Cradle to Cradle, and is named Chair of the World Economic Forum’s Global Agenda Council on the Circular Economy. William McDonough receives the Rachel Carson Environmental Award from the Natural Products Association. FIFPro’s new headquarters, designed by William McDonough + Partners, opens at Park 20|20, the first Cradle to Cradle inspired development in the Netherlands, designed and master planned by William McDonough + Partners. by William McDonough and Michael Braungart, The Upcycle draws on a decade of lessons in putting Cradle to Cradle concepts into practice. William McDonough speaks at the 2012 Greenbuild International Conference and Expo in San Francisco, California. 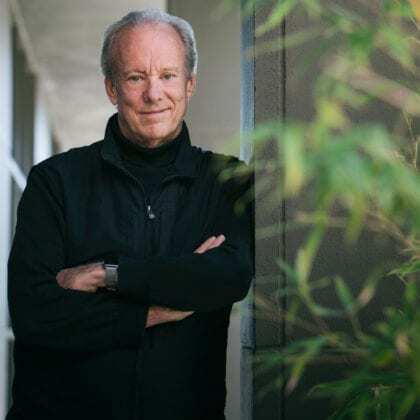 William McDonough and Stanford University Libraries announce that they will create a comprehensive, real-time approach to archiving the McDonough collections. Mayor Lee of San Francisco declares November 15, 2012, William McDonough Day. Sited on opposite ends of Park 20|20, William McDonough + Partners designed two pavilions that are connected by greenhouses to be part demonstration area and part community space. Sustainability Base, NASA's first space station on earth, designed by William McDonough + Partners, opens at Moffett Field, California. Occupying a prominent site at the entrance to the William McDonough + Partners designed Park 20|20 development in the Netherlands, Fox Vakanties, a Dutch internet travel booking organization specializing in distant, exotic destinations, is the latest company to take up residence. William McDonough + Partners brings Cradle to Cradle thinking to Italy with Isola, a ten-story office building now home to Google Italia and Pandora. Bosch Siemens Hausgeräte (B/S/H/) brings five of the top brands in household appliances together under one roof in the first building completed at Park 20|20, The Netherland’s first Cradle to Cradle®-inspired development. Ed Lee, Mayor of San Francisco, declares June 9, 2011, Cradle to Cradle Day. William McDonough and Michael Braungart announce the formation of the Cradle to Cradle Products Innovation Institute. Ecourban is an ambitious mixed-use, urban redevelopment project in Barcelona led by William McDonough + Partners. The building is at the center of the urban renewal initiative in the Poblenou District—known as 22@, which plays on both its historic “22a” industrial zoning code and its high-tech future. McDonough receives the National Design Award for outstanding achievement in environmental design. McDonough receives the U.S. EPA Presidential Green Chemistry Challenge Award from President George W. Bush for his work with Shaw Industries. McDonough is awarded the Benjamin Botwinick Prize for Ethical Practice in the Professions from Columbia University Business School. Scientists at the Woods Hole Research Center study forests and global carbon and nitrogen cycles to determine the effects of deforestation and human activities on the environment. William McDonough +Partner’s design for the new campus demonstrates the ability for modern building construction to harmonize with a habitable earth. Architect William McDonough and chemist Michael Braungart present an integration of design and science that provides enduring benefits for society from safe materials, water and energy in circular economies and eliminates the concept of waste. The restoration of the Ford Rouge Center transformed the historic manufacturing complex into a model of 21st Century industrial sustainability. Nike has crafted one of the world’s most readily recognizable corporate identities through its emphasis on world-class athletic performance. William McDonough + Partners furthered Nike’s mission by bringing world-class innovation to the Nike European Headquarters. "Eco-efficiency," the current industrial buzzword, will neither save the environment nor foster ingenuity and productivity, the authors say. They propose a new approach that aims to solve rather than alleviate the problems that industry makes. Designed by William McDonough + Partnesr as a build-to-suit for Gap Inc, 901 Cherry is now the home of YouTube LLC, illustrating that a building design as a flexible and adaptable organism can successfully adapt to new user groups. Designed by William McDonough + Partners, the Herman Miller “GreenHouse” office and manufacturing facility has become a case study in how a sustaining approach can enhance the physical and mental health of its occupants—not to mention corporate productivity and profits. McDonough becomes Dean of the School of Architecture and Edward E. Elson Professor of Architecture at the University of Virginia (1994-1999). William McDonough + Partners moves to Charlottesville, Virginia.